How do I cure myself when I'm ill? Well... I will write only about that nature (because paracetamol is the main cure and sometimes doesn't work). 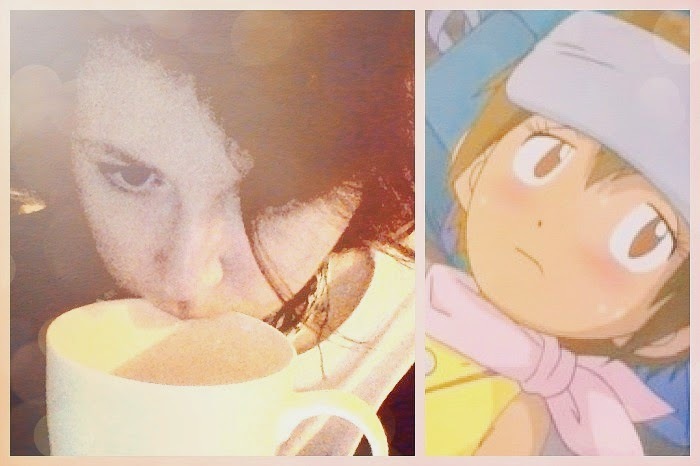 The first thing - I eat hot garlic soup and drink black tea with lemon juice and honey in it. But that's not all. The main part of the treatment are herbs and other nature products. The main part of treatment is definitely ginger. I grate it into a large jar, then I pour the hot water and sweeten with honey to soften the taste of its flavor (sometimes it's pretty strong). Due to its antibacterial actions it has been used as a home cure and it is also first choice against flu, colds and fever nowadays. Pieces of fresh ginger can also be chewed for sore throat (but I can't do this!). The advantage is, that it can stimulate the immunity of the whole body simultaneously with the treatment! 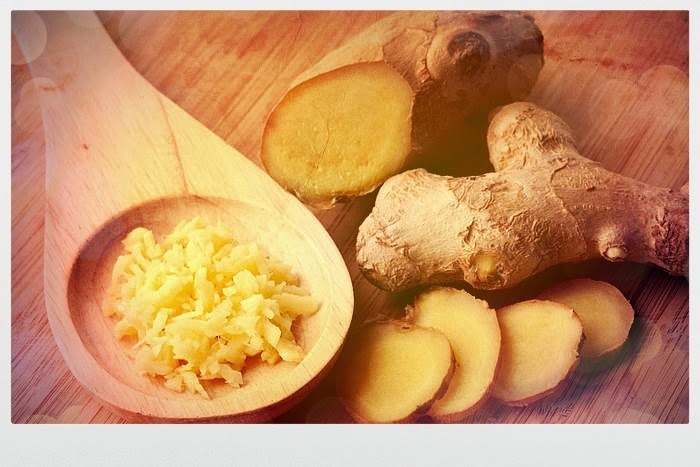 Ginger is a proven medicine for stomach and digestive problems, nausea of all kinds, eg. 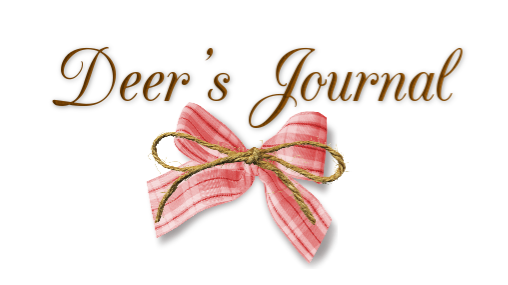 during traveling in pregnancy or during a migraine. It reduces the aggressiveness of gastric acid and increases the production of digestive juices. In addition, it helps very well against bloating and flatulence. My parents brought me (among other things) mountain tea Malotira and thyme honey from Crete. I didn't try these before, so I've decided to prepare them as a cure. And it worked out very well! 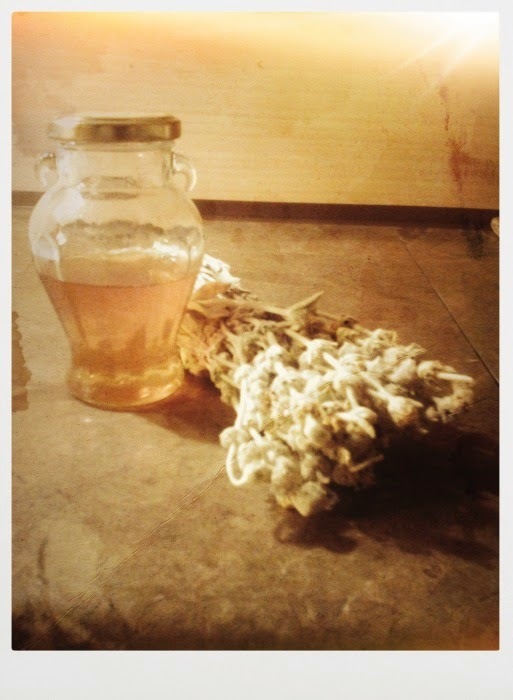 Tea from this herb has really nice flawor - and it's absolutely delicious with thyme honey <3 Lucky! Malotira is excellent against winter ills - colds, flu or respiratory illness (allergies and asthmas!). It can soothe a bad stomach and scientists have shown that it helps prevent osteoporosis and due to its antioxidant effects - even cancer. It strengthens our immune system and relieves anxiety. Malotira can reduce a fever, treat inflammation and also acts as a diuretic. Because it speeds up digestion, it is good to drink Cretan mountain tea for weight loss. Any Greek gives us the strongest evidence of the benefits of Malotira. If you ask them, what is the cause of their good health, they definitely respond, it's because they drink Malotira. Malotira name comes from the Italian words male (illness) and tirare (push away), which expresses the healing powers of this unique herb. Another interpretation is that the name originated from the Greek word mallotos (hairy), because the plant has hairy leaves. Since prehistoric years, Cretans were familiar with honey making and included it in their diet. For many centuries, honey was the alone known sweetening substance. Olympic Gods were nourished with nectar and ambrosia. Aristaios, son of Apollo and Kyrini, was the founder of beekeeping and had become immortal, because Earth and Hours, who looked after him, nourished him with ambrosia. Rose hips contain many active substances. It contains a high proportion of vitamin C. Furthermore, vitamin A and vitamin B. In addition to vitamins, it also contains tannins and organic acids. Rose hip tea (from dried R.) is an ancient tradition, and therefore it should not be missing in any household. For medicinal purposes, mainly used in the form of brine. 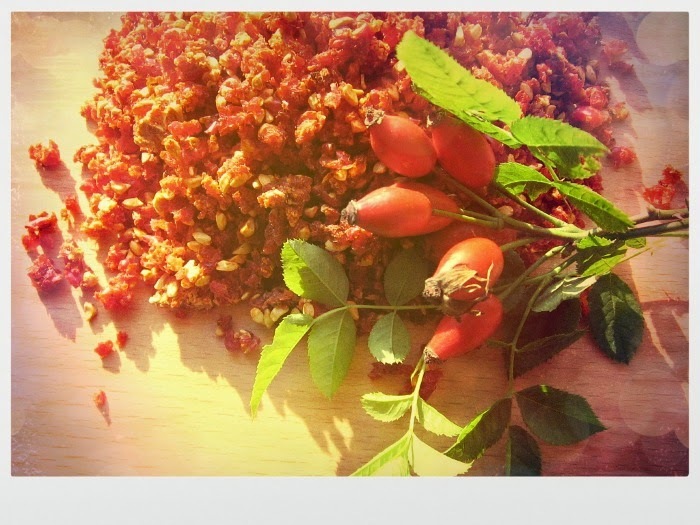 Rose hips enhance immunity, as well as prevention of infectious diseases. It has positive effects on blood vessels, cures various infections - such as the gums. Rosehip tea helps eliminate fatigue. It is used in the treatment of urinary tract and kidneys, regulates bowel activity. It has no side effects. But hip hairs can cause allergic reactions. 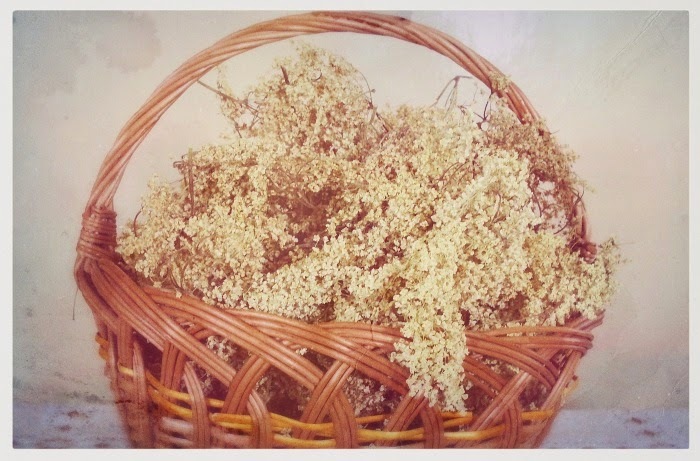 Elderflower deserves respect in folk medicine. This herb treats colds and respiratory diseases - such as influenza, tonsillitis, bronchitis, coughing, rhinitis, sinusitis, etc.. It also stimulates sweating, thus able to reduce the fever and helps us to to get rid of secretions in the airway, improves expectoration and makes breathing easier. Elderflower has a cleansing effect on our body. It helps us to get rid of toxins, especially uric acid, thus treating diseases such as rheumatism and gout or it is an excellent prevention of these diseases. Likewise it also helps in case of problems with the urinary tract and kidneys, as is their lack of activity and kidney and bladder stones, diuretic and clean from debris. It also helps fight against excessive fluid retention and swelling. Elderflower improves the elasticity of blood vessel walls and lowers blood pressure slightly. The cold unsweetened tea from the flowers is also a great medicine for digestive problems such as gastric and intestinal colic, flatulence, nausea and slow digestion or underactive gallbladder. Thyme is used to treat upper respiratory tract such as dry coughing, pneumonia or bronchitis. It disinfects the digestive system, helps with colic and flatulence. This herb also has a beneficial effect on headaches, nervous weakness, dizziness and insomnia. 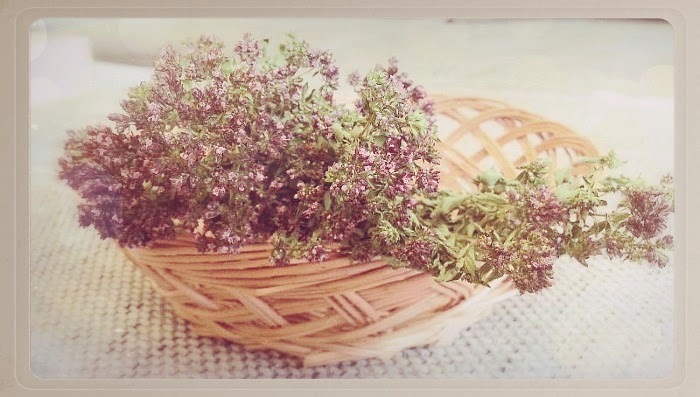 Thyme is widely used strongly aromatic herb, which is linked to many legends, tales and superstitions, and which was anciently ascribed to magical effects. Its name is derived from the Greek thymos = manliness, power doesn't represent just help in trouble but also has a refreshing effect. Emperor Octavian Augustus and his military healers consider it as an important herb - powder from shattered or minced tops apparently stopped bleeding. Mothers often gave wild thyme extract to the baths for children to make be strong. And yes - these herbs (and lots of more) really help. Generations before us explored and tried the effects of these natural products already. Belive them or not - I do.